An new indoor monitoring system estimates the productivity loss of building users because of high CO2 concentrations and temperature discomfort – while helping to radically reduce energy consumption. 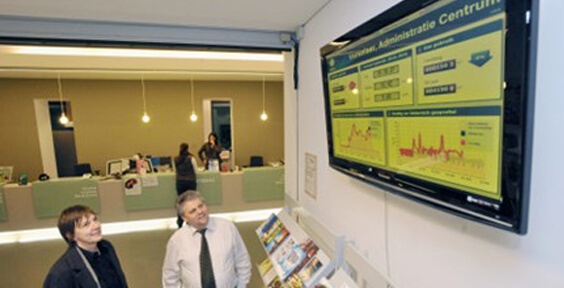 Analysis of energy usage and monitoring of the indoor climate is crucial for schools, offices and businesses. A bad indoor climate does not only result in bad energy performance, but also in lost productivity, sales and general discomfort. A system that aims to help solve this problem is currently being tested by Climate-KIC’s regional centre in Poland as part of a ‘no cure, no pay’ energy savings project. Mobile sensors have been installed across the Climate-KIC Lower Silesia offices – based at the Wrocław Research Centre EIT+ campus – to provide the necessary data. The EcoSCADA system has been developed by Climate-KIC partner Porta Capena and uses data such as indoor CO2 levels, temperature, humidity and even noise levels. A unique feature of the software that is used in the analysis, is the ability to calculate Predicted Productivity Loss due to high indoor CO2 concentrations and temperature discomfort. The mobility of the system helps solve various heating and ventilation issues even on the level of single rooms and labs. Affordable internet-enabled sensors such as the ones used in this project can help achieve more energy savings in existing buildings, resulting in lower energy bills and less CO2 emissions. Porta Capena is a Climate KIC partner with over ten years of experience in building smart tools for energy savings. 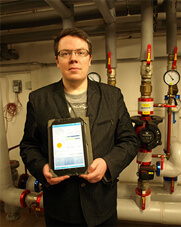 It’s EcoSCADA solution is already in use by facility managers and communities in the Netherlands, Belgium and Poland.